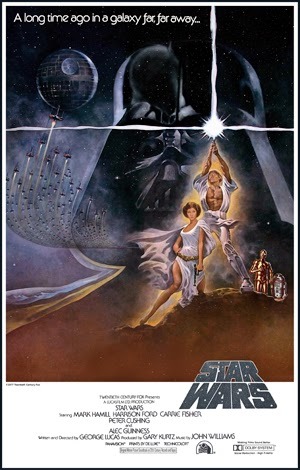 Endlessly quotable, with a brain-invading soundtrack and groundbreaking special effects, the first Star Wars film was destined to be a cultural phenomenon. Except, no one really expected it to be whilst it was under production. Writer/director George Lucas was diagnosed with hypertension as his team ran behind schedule, most of the crew and cast being less than enthusiastic as they thought they were working on some kind of weird kids’ film. On opening day, however, their cynicism was quashed, and Lucas was clearly going to become very wealthy, very quickly. Sure, the dialogue is just terrible, but it’s Lucas’ total inability to write deliverable lines that makes his characters so darn quotable. From a disparaging description of Mos Eisley, to the insult ‘nerf herder’, Lucas’ attempts to weave in references to this distant galaxy’s history and culture jar delightfully. As for the story overall, we have daring rescues, exciting lightsaber duels, and many a narrow escape, all taking place within a “used universe” - no shiny, magazine-cover spaceships here. Lucas presents us an imagined world fully in motion, with a courageous and determined Rebel Alliance pitted against the evil Galactic Empire. John Williams’ genius score for Star Wars earned him an Academy Award, plus my eternal respect and delight. Instantly, off the top of my head, I can hum the Mos Eisley cantina tune, the imperial march, and the main title theme, which as someone who struggles to remember the song she was just listening to on the radio, is quite impressive. Lucas wanted an orchestral sound for the film, and Williams himself suggested a new, original score to underpin the story’s emotions. Lucas in turn requested leitmotifs to help the viewers familiarise themselves with this new world, as the running musical motifs would help provide distinction. Without having to think about it, we know who the baddies are, we know who the brave heroes are, and, crucially, when something really cool is about to happen. In a potentially overwhelming and confusing film, the success of this score is vital. For me at least, Star Wars wouldn’t be Star Wars without the sound of the blasters, R2-D2’s beeps and squeaks, and tie-fighters giving a lesson in the Doppler effect. Upon embarking on this ambitious project, Lucas founded Industrial Light & Magic, knowing that 20th Century Fox had no visual effects team; for a new initiative, they sure had a lot of work on their hands. Using miniature models to shoot the spaceship battles and WW2 dogfight footage as inspiration, ILM managed to produce some of film’s most iconic SF scenes. While watching the proceedings at the rebel base, I found myself shocked at the scale of it all. Pilots climb in their cockpits, engineers install R2 droids in their sockets and innumerable miscellaneous technicians complete miscellaneous tasks with sciencey-looking props. No wonder they went over budget. I could continue, but I’m probably preaching to the choir here. 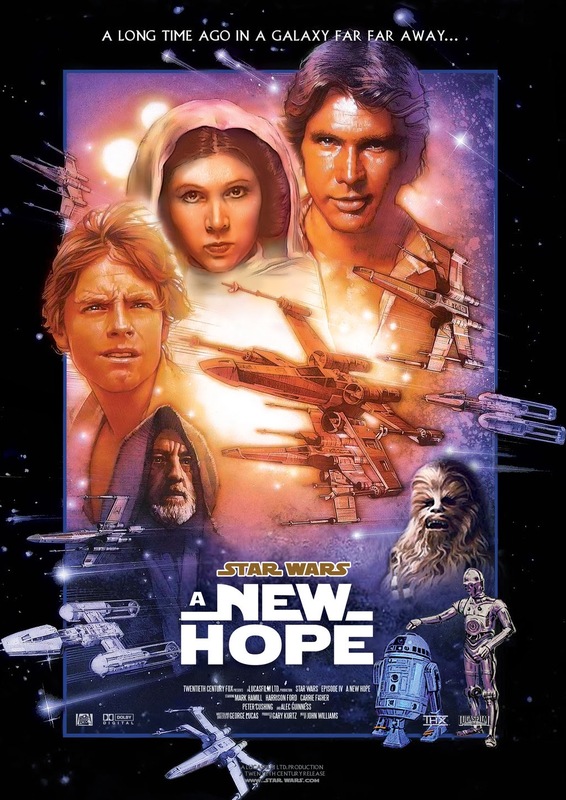 As you’ll know if you’ve read my review of Episode VI, Star Wars pretty much represents the concept of nostalgia for me (seeing as I spent countless Sunday afternoons as a child watching the original trilogy), and so just getting to watch this film again, with an actual purpose, makes me incredibly happy. As such, the above is an outline of the main reasons I love this film. The full list is, however, endless.